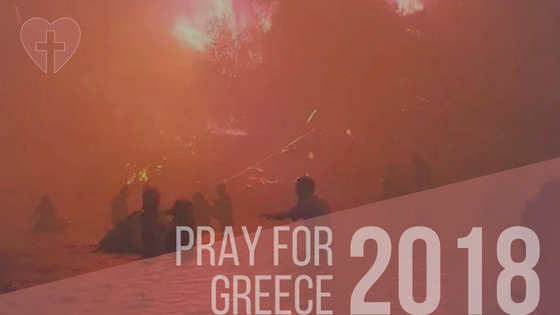 On Monday 23rd of July, one of the nations worst disasters of recent memory struck Greece when fires claimed the lives of residents and tourists. The Greek Prime Minister has declared three days of national mourning. On Monday 23rd of July, news broke across the globe that wildfires raged through coastal areas in Athens and the small resort town of Mati. Hundreds of tourists and residents fled to the beach for safety, sadly some people became separated from their loved ones, there have been reports of people trapped in cars in an attempt to flee the area and others perished embraced in loved ones arms as they were engulfed by the smoke and flames. Gale force winds, the strongest in eight years combined with dry conditions fuelled the fire in the already soaring 100 degree temperature putting pressure on rescue workers which led to many neighbouring European countries sending help in the form of planes, vehicles and fire fighters, with Cyprus also offering assistance. This is one of the nations worst disasters of recent memory, the death toll originally reported at 70 has since risen to 81, many more injured and at least 9 in intensive care. The town of Mati no longer exists, with it’s blackened trees and crumbling ruins, both reminders of life that once resided there. The government have hinted that the fires appear suspicious. That aside, the first priority is treating the injured, reuniting loved ones, locating the missing, offering emotional support and housing the homeless providing basic needs. The Cypriot, Greek, and wider communities in London, Great Britain set up donation drop off collection points taking immediate effect, with a plan to raise funds via the Greek Orthodox Churches in Sunday’s service and other relief funds to help rapid response disaster aid workers such as the Hellenic Red Cross in Greece. Please note, the centre are not accepting any monetary donations. Items needed; towels, blankets, clothing; men, women and children of all ages / sizes (warmer clothing because in a few months time it will be winter, summer clothing, children’s vests), new underwear, socks, shoes, antiseptic wipes / cream, over the counter pain killers such as Calpol® and paracetamol, sanitary items, nappies, baby formula, plasters / bandages, toiletries and toys, tinned / long-life foods such as tuna, soups, luncheon meat, tinned tomatoes, tomato purée, powdered milk, cooking oil / olive oil, marmalades, honey, instant coffee / Greek coffee, black bags, sponges, washing powders, household cleaning products, insect repellent, batteries, torches and reading glasses. NEWS UPDATE 11:25pm Friday 27th July 2018: The centre’s main email address is: greekcypriotwomensorg@gmail.com but due to the overwhelming response, we have made a dedicated email address this Friday evening for this relief appeal, if you wish to sponsor, volunteer your time / services or have any questions regarding the aid for Greece, please contact: gcwo.greekaid@gmail.com instead. Telephone number: 020 8341 6658. We are looking for volunteers for Monday 6th August to help at the centre to organise the boxes and repack where needed from 1pm onwards. Please email or call if you can spare your time for a worthy cause. The Vice Chair Soulla Kyprianou would like to thank everyone who has donated and offered help so far. The collection will resume after the weekend on Monday at 10am – 2pm. All donations to be taken upstairs and left in the function room please. 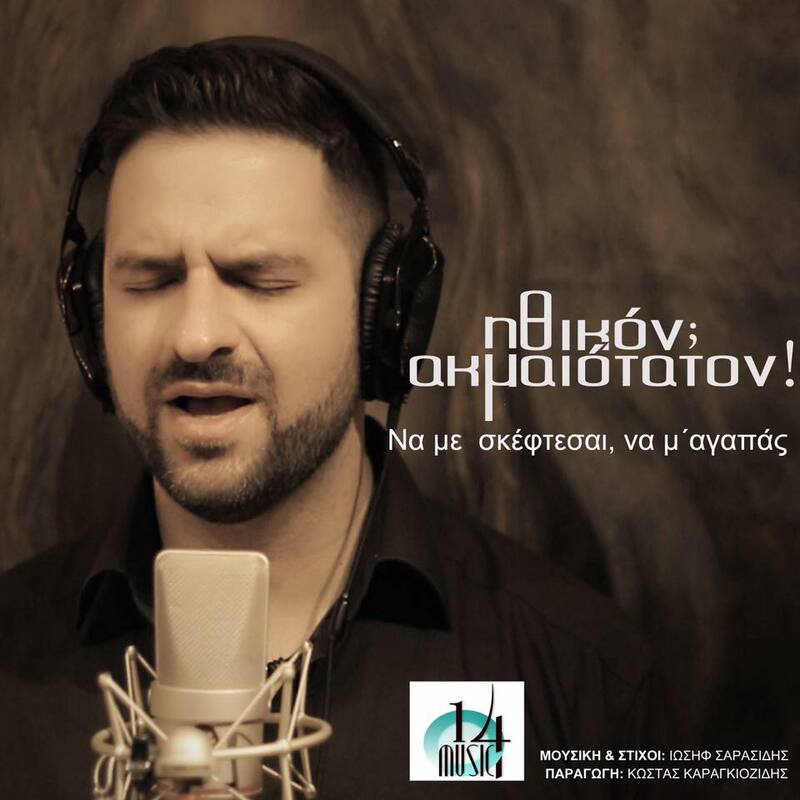 Arranged by Eleni Georgiou of Asterakia. Any remaining boxes after the first shipment will be delivered to the GCWO centre for storage and batches of boxes will continue to be shipped weekly. Thank you to our sponsors; The Big Yellow Self Storage Company for providing boxes and delivering them to the GCWO centre, Christos Metafores International Transportation for the shipment of the first batch of boxed donations to Athens, Greece and for agreeing to continue to ship boxes weekly until all are sent. Rogers Removals based in North London for their help with collecting the items from The Winchmore pub and delivering them to Greek Cypriot Women’s Organisation. Thanks to the owners Eimear & Mark Walsh of The Winchmore and all staff for being so accommodating and allowing us to use your function room for free to store the items, SpecSavers Muswell Hill for donating reading glasses and to London Greek Radio and Greekbeat Radio for mentioning the appeals on air. The items will be sent to ReGeneration in Greece for them to distribute to the areas affected. We as ReGeneration, ensure to deliver, in person, each and every item kindly donated that we receive to Kineta, Rafina and Nea Makri according to the needs stated by Mayors and their Deputies, Presidents of the Resident’s Associations etc. We are currently having a daily update on the needs that arise, so as to collect the right items required in the area that needs them most. We are doing everything humanly possible to make sure that all items delivered will satisfy actual needs based on the plans of local authorities and communities. – Konstatantions Kintzios, Business Development Director of ReGeneration. clothing; underwear, socks (for adults & children), footwear, toys, toiletries, sanitary pads, nappies, toothbrushes and paste, canned food & anything not flammable in transit that you can think of that’s needed urgently. St Mary’s Hospital – Praed St, Paddington, London W2 1NY – Maternity Ultrasound Reception, Cambridge Wing. Queen Charlotte Hospital, Du Cane Rd, White City, London W12 0HS – Maternity Ultrasound Reception. Here are the scenes from BBC News of the devastation caused by the fires in Greece.